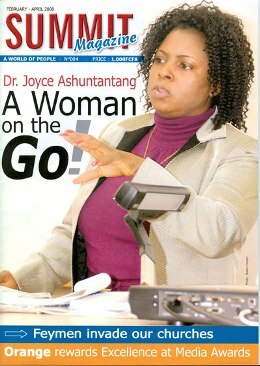 Joyce_ashuntantaeduart When one talks with Joyce Ashuntantang, one is tempted to think she has lived for a hundred years. That is because Joyce has always been on the go. She has studied in Cameroon, Britain and the USA. She is widely traveled, France, Morocco, Ivory Coast, Nigeria, Mali, Benin, Senegal, Switzerland, Belgium etc. Some know her in Cameroon as the star actress of the Yaounde University Theatre, flame players and the golden days of CTV/ CRTV. Her talent and beauty shown on stage as she dramatized poems and plays on late Kwasen Gwan’gwa’s Focus on Art.